Choices in Plotting Tools - Celestaire, Inc.
Beginners typically ask which plotting tools they need. It’s a good question, because the available range of tool types is greater than one would likely need. 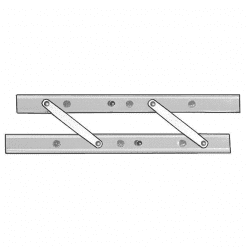 For example, parallel rules, rolling plotters, course plotters, triangles and plotting board pantographs all do essentially the same thing; that is enable you to draw a line in a prescribed direction on a chart. 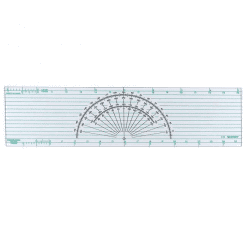 Dividers and compasses measure distances on charts. As facility and experience is acquired, navigators will gravitate toward one tool or another to fit individual preferences, navigation station constraints, or desired accuracy. Our suggestions for the beginner are as follows below. Those with experience will have their own idea of what they want. An economy minded beginner might want to start with our chart kit (Item #4605). This will allow exposure to the greatest number of tools for the least cost. Once a preference is developed, higher quality versions can be bought, and the chart kit used for spares. An alternative would be to buy either the parallel rules (Item #4306) or the course plotter (Item #4304), and the ultra-light dividers (Item #4206).